This story, while not being a mystery in the strictest sense, does feature a locked room. Explaining how it fits into the genre requires quite significant spoilers so I'll leave it to the review below. L. Frank Baum is best known for writing The Wonderful Wizard of Oz, which was later adapted into the 1939 film starring Judy Garland and the sort-of-prequel Oz the Great and Powerful in 2013. The Suicide of Kiaros was one of a number of unrelated short stories written over the course of his career, and follows Felix Marston as he attempts to rid himself of money troubles. The short story is available in its entirety for free at Archive.Today. This collaboration between Jacques Futrelle and his wife is split into two parts - "The Grinning God", and "The House That Was". May Futrelle wrote the first part, in which a lonely traveller named Fairbanks takes a wrong turn and ends up in a mysterious house. Seemingly followed by a shrieking ghost, the traveller finds that the inhabitant of the house can neither see nor hear him. 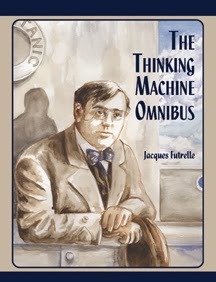 The second part, written by Jacques Futrelle, introduces his ingenious detective The Thinking Machine to the problem, who attempts to rationalise the bizarre events. The short story is available in its entirety for free at Futrelle.com. If you want to read on your Kindle you can download it here (send to Kindle instructions here). The Grinning God isn't a locked room or impossible crime as such, since there is neither a locked room or a crime involved. It is simply a series of bizarre and somewhat eerie events that seem to defy logic. Sherlock Holmes is a seminal character that has inspired, and continues to inspire, mystery writers worldwide. 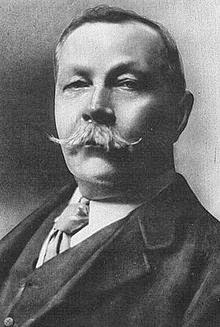 Arthur Conan Doyle wrote a great many short stories and novels featuring the infamous detective, however only a handful contain locked room and other impossible crime mysteries. In the Problem of Thor Bridge, Holmes and Watson are called to investigate the death of Mrs Gibson, wife of a wealthy businessman. Shot at close range by an unknown assailant, the clues to Mrs Gibson's death all seem to point towards the nanny. The short story is available in its entirety for free at Camden House or Project Gutenberg Australia. If you want to read on your Kindle you can download it here (send to Kindle instructions here). The Problem of Thor Bridge doesn't feature as much of Holmes' deductive techniques as others in the Conan Doyle canon, and instead relies on the details of the case to maintain the reader's interest. It would have been nice for Conan Doyle to play this up even more, as the solution to the puzzle is one of the more interesting of his devices. Having locked herself in her bedroom, a woman is killed with no trace of her assailant. The only clues are a strange whistling sound and her mysterious dying words - "the speckled band". The story was later adapted into a stage play (also written by Arthur Conan Doyle), and briefly referenced in the recent BBC Sherlock series. It is one of only a handful of shorts by Conan Doyle that adhere closely to the conventions of the impossible crime genre. The short story is available in its entirety for free at Project Gutenberg. If you want to read on your Kindle you can download it here (send to Kindle instructions here). Arthur Conan Doyle was thought to have considered The Adventure of the Speckled Band one of his best Sherlock Holmes stories. It does feature many of the hallmarks of a classic Holmes tale - a panicked client briefly describes the case, is impressed by Holmes' various deductions about them, then whisks Holmes and Watson away to inspect the peculiars. Victoria Addis asked if I could contribute to this writing process blog tour, so please see my responses below. 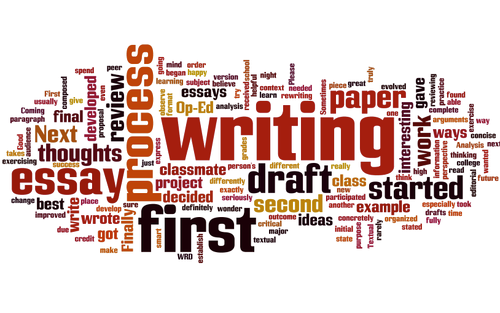 Writers talk a little about their current project(s), what motivates them and why, then pass the baton on to others to share their insights. Victoria is a farmer’s daughter and one-time goat keeper from Herefordshire. She is currently working on a masters in English Literature alongside her first writing project; a piece of middle grade fiction inspired by her love of medieval history and children’s fantasy literature. Her post is available on The Charming Hermit. I'm currently writing my debut novel, The Locked Room. The book is a series of locked room mysteries and other impossible crimes that form a continuous narrative. I'm about two thirds of the way through, focusing on tidying up the links between stories and working out how to frame the ending. A U.S. Marine is ambushed in a hotel bathroom. With the door locked, how can the killer have escaped? This exclusive short story is the first chapter of my upcoming novel, The Locked Room. Acting as a sort-of-prologue, the plot introduces us to Kenneth Rhys as he investigates the death of a U.S. Marine. For more information and further chapters of the upcoming book The Locked Room, check out The Locked Room (Book). The short story is available in its entirety below. If you want to read on your Kindle you can download it here (send to Kindle instructions here). © 2014, P.J. Bergman. Any unauthorized reprint or use of this material is prohibited. No part of this book may be reproduced or transmitted in any form or by any means, electronic or mechanical, including photocopying, recording, or by any information storage and retrieval system without express written permission from the author. Extracts may be used, provided that full reference to the source is available to the reader. The manuscript had arrived that morning. At first Anthony withheld from opening it, toying gently with the corner of the adhesive flap as he examined the lopsided postmark on the envelope. He didn’t need to look inside to identify the author. The stamp in the corner would have been enough, but the distinct handwriting that formed the barely legible address on the front served to reinforce his suspicions. At one time the handwriting had been as familiar to Anthony as his own. Notes littered around the apartment they shared would detail small tidbits of the cases they were working on, or outline a few of the bizarre incidents in which they found themselves. Despite his best efforts, Anthony couldn’t bring himself to throw out the deluge of paper scraps that now occupied a dusty box in the corner of his office. His brother always had been one for writing, and judging from the weight of the package Anthony now found in his hands the intervening years had proven no exception. He ran his finger along the underside of the flap, the sticky residue giving way to reveal the contents of the envelope. The ease at which the paper separated suggested that the package had previously been opened and resealed, either innocently during transit or after an inquisitive eye had examined the consignment and judged it unworthy of their attention. Inside the envelope was a thick block of neatly bound paper. Carefully wrapped around the manuscript a stiff card cover added weight to the already cumbersome package. Displayed prominently on the front were three handwritten words: The Locked Room. Anthony hesitantly turned over the card to reveal the first page. A folded yellow note slid down the paper before being halted by his palm. No, that isn't a typo in the heading. 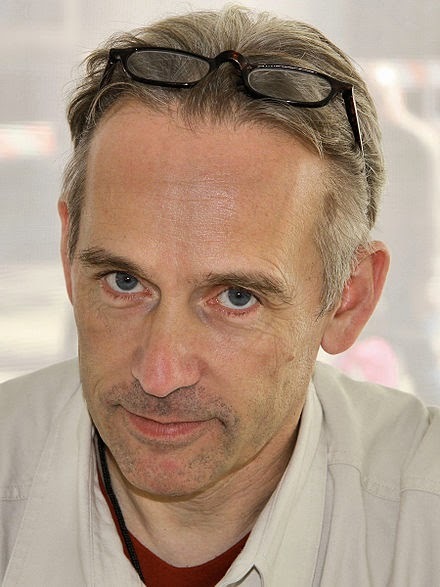 Jasper Fforde is a novelist based in Swindon, UK. He has written a number of fantasy/crime books and is known for breaking the fourth wall within his stories. The Locked Room Mystery Mystery is no exception to this, and follows D.I. Jack Spratt as he tries to determine who murdered the victim within a locked library. The unique aspect of this short story is the way Fforde parodies the usual mystery tropes. The victim, "Locked Room Mystery", has been murdered and the suspects, "Red Herring", "Unshakeable Alibi", "Cryptic Final Message", "Least Likely Suspect", "Overlooked Clue", and "Flashback", all adhere to their respective conventions. Each are examined in turn as Spratt works his way through the events leading to the crime. The short story is available for free on TheGuardian.com. If you want to read on your Kindle you can download it here (send to Kindle instructions here). 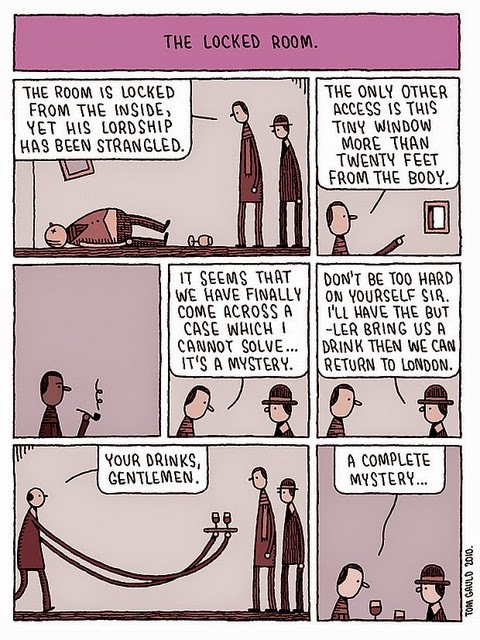 As a humerous short story I quite enjoyed The Locked Room Mystery Mystery. It has a few subtle (and not so subtle) nods to genre staples that come across like a Cluedo game for mystery fans. While only a few pages long the tale manages to squeeze in a large number of knowing winks and in-jokes. One of the few locked room mysteries set in Ireland, Passage in the Secret history of an Irish Countess is an early example of the format. While it does feature the hallmarks of an impossible crime story, Le Fanu veers more towards psychological horror as the plot develops. 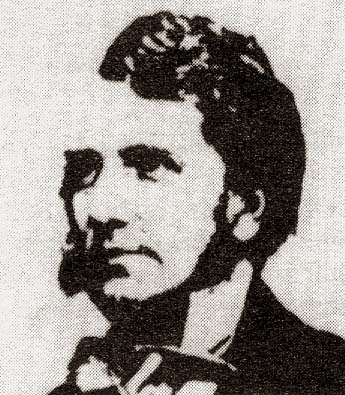 Primarily known as a writer of gothic stories, Le Fanu was a fellow Dubliner and lived by Merrion Square - only a short walk from where I write this now. 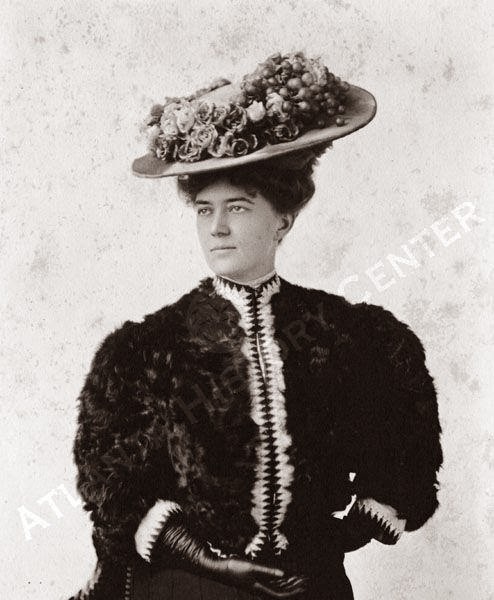 His most famous novel, "Uncle Silas", was actually an expanded version of Passage in the Secret History of an Irish Countess. It's nice to know he got better with titles. The short story is available in its entirety for free at Adelaide.edu or The Literature Network. If you want to read on your Kindle you can download it here (send to Kindle instructions here). Uncle Silas, the novel based on the short story, is also available for free at Project Gutenberg. Passage in the Secret History of an Irish Countess wasn't quite what I was expecting. The story begins with the classic impossible crime set-up - a body is found in a locked room with no signs of the murderer. It then skips forward a generation when the titular Irish Countess (the narrator - Margaret) is sent to live with her Uncle Arthur, who is the primary suspect of the original crime. The uncle, originally the picture of innocence, becomes more sinister as the narrative goes on and Margaret begins to suspect that he was indeed involved. I've been watching HBO's new series True Detective and came across Episode 3 - The Locked Room. Not that it has anything to do with locked room mysteries, but it got me thinking about the tone of impossible crime stories. What would a True Detective locked room mystery look like? In truth I'm not sure they would blend. True Detective is solemn and gritty. And windy. 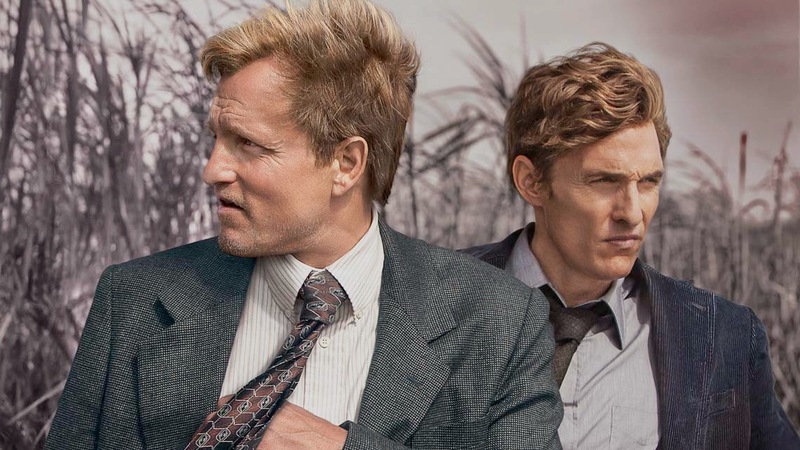 True Detective follows two investigators in Louisiana as they hunt for the ritualistic killer of a young woman. The show does have a number of similarities with the impossible mystery genre - it revolves around a crime (good start...), has two primary characters investigating, one detached nihilist detective and one, well, less so. The main distinction between True Detective and the locked room genre is the tone. Mystery stories as a whole cover a wide range of styles, from humorous to sombre. Impossible crimes as a sub-set tend to veer on the lighter side of the scale, with all but a few playing down the emotional fallout of the crime. One of the primary attributes of a great locked room mystery is the possibility of the reader solving the crime before the detective. The audience go through the case with the detective, see the same clues and are privy to the same information. The best stories have a simple solution that manages to elude the reader through ingenuity alone. The Mystery of the Yellow Room has been on my to-do list for a while. It was only after the recent Jonathan Creek s05e01 (which centres its plot around a theatre production of the book) that I was finally ready to take the plunge. There were two things holding me back, which will also pop up in the review below. It's French. Now I have nothing against the French (though being based in Ireland I contractually do have to hate Thierry Henry), but translation combined with over 100 years of language evolution can make for some tricky reading. It's a book. A full book. I've always felt that locked room mysteries fit the short story format better than long form. However eye-opening or elegant the solution may be I feel it's rarely worth the commitment required to make it all the way through a feature length. This may also be why the genre has been translated to TV much more successfully than it has to cinema. The book is available to read for free at Project Gutenberg. If you want to read on your Kindle you can download it here (send to Kindle instructions here). The mystery at the heart of the book involves an attempted murder within a locked room (which happens to be yellow). 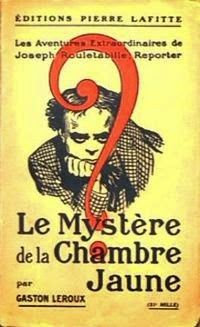 There are some other smaller puzzles, mainly involving disappearing assailants and over-complicated floor plans, however the crux of the story follows detective Rouletabille and his "Watson" Jean Sainclair as they compete with notorious detective Frederic Larsan to solve the crime. I find classic mystery stories a bit of a mixed bag. On the one hand many of them feature problems and solutions that were the first of their kind, but on the other many of the ideas have been iterated upon and improved by later authors. The language and pacing of stories written a century ago also takes a little getting used to. This week I've been (re)reading one example that falls foul to none of these issues - The Problem of Cell 13 by Jacques Futrelle. Originally published in 1905, the short story focuses on Augustus S. F. X. Van Dusen (a.k.a. "The Thinking Machine"), who bets his friends that he is able to escape from any prison cell while treated as any other prisoner. The plot follows his exploits as he is taken up on his bet. The short story is available in its entirety for free at Futrelle.com or Project Gutenberg Australia. If you want to read on your Kindle you can download it here (send to Kindle instructions here). The story wastes little time setting up the concept, and speeds along at a decent pace. Once Van Dusen is imprisoned the perspective switches primarily between him and the warden, which provides a great balance of telling the reader all they need to know while keeping us entirely in the dark. Van Dusen's mix of intellect and Holmesian detachment stays just the right side of arrogant, and the "problem as a bet" mechanic works well to set up the concept. What Is A Locked Room Mystery? Hi, and welcome to The Locked Room! I'm PJ, and I'll be your host for this morning / afternoon / evening's bout of mystery related procrastination. Impossible crime stories are seeing a bit of a renaissance at the moment, with shows like BBC's Sherlock demonstrating that there is still a huge appetite for the genre. The late 1800's and early 1900's (fondly known as "The Golden Age of Detective Fiction" by those who seem to forget the two world wars or any other global event that more adequately describes an age) saw a surge in popularity of the format and produced many of the now classic tales. 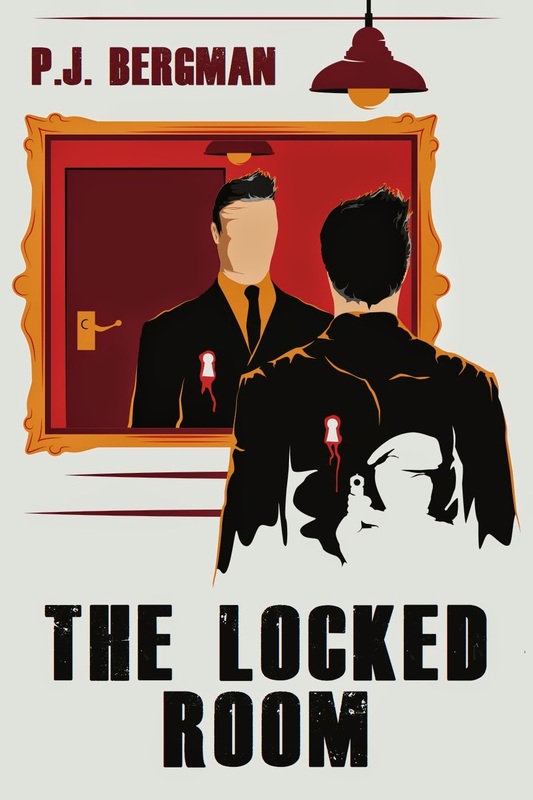 Featuring exclusive content from the upcoming novel "The Locked Room", I plan to fill this site with discussions on the genre, reviews of books / TV shows / movies that feature impossible crimes or related concepts, as well as my own experiences writing mystery stories. I'll say now that I am a somewhat fickle creature so plans are subject to change, re-interpretation or being forgotten entirely. Let's get the basics out of the way first so that there can be some hope that my future commentary may be somewhat intelligible. Locked room mysteries and impossible crime stories are a subset of detective fiction. The plots generally involve an event or crime that seems to have occurred outside of what is physically possible. The locked room conundrum - a body is found alone inside a locked room with no possible escape route for their attacker - is generally the most popular of these and the various solutions provide some of the greatest examples of the genre. The genre has a really good Wikipedia page, which covers the general concept, history and various examples if you're interested. Whoever wrote that has far more (a) knowledge, and (b) dedication than me so if you're looking to do some serious research then it's definitely a good place to start. There are also a few other fan pages which you're welcome to check out, as long as you don't forget about yours truly. John Pugmire's site LockedRoomInternational features some interesting articles (and also mentions that he fathered the current Wikipedia page - see above), as well as suggested reading. If that's what you're after then Hal White lists some of the best stories available (Hal has also written "The Mysteries of Reverend Dean" which features a more modern take on the genre featuring a retired pastor - an interesting read and maybe something I'll review in full at a later date), as has Moonlight Detective and GoodReads. I've never gotten round to creating my own list, but plan to at some stage (fickle creature, remember). For the moment I would heartily recommend that you read the rest of this site. So there you have it - a somewhat hasty introduction to me, my site, and my topic of choice. Feel free to post suggestions or hurl abuse in the comments. "I Bet the Last Thing She’s Ever Going to Say to You Was Pull the Trigger"
Copyright 2014 P.J. Bergman. Simple theme. Powered by Blogger.